Steam heating is one of the oldest heating technologies, although less efficient than some more modern systems, steam systems are found all over country. The first central heating systems for buildings used steam distribution because steam moves itself through piping without the use of pumps. Although old steam systems required a lot of manual input to control them, today there are many advanced automated controls for steam boilers. Steam boilers are also often used in industrial applications to heat up large quantities of product in a short period of time. Whether your facility is a large complex of buildings or a single structure, our state-of-the-art steam boilers are ready to handle the job. 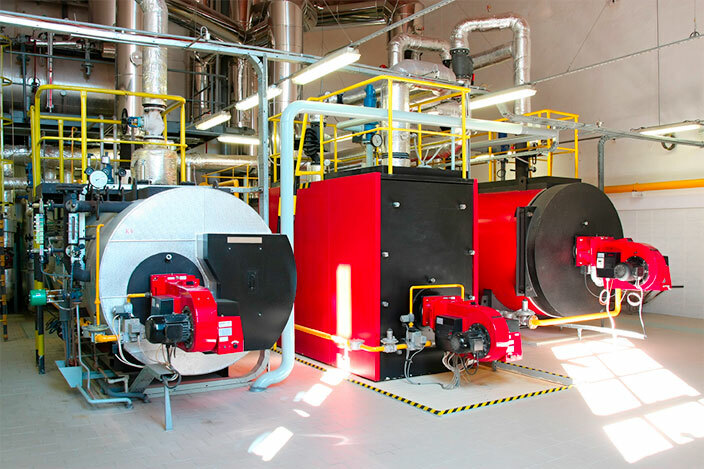 If your project requires your permanent steam boiler to be taken offline, A Heating provides a wide range of temporary steam boilers for a smooth transition. Whether your facility is a large complex of buildings or a single structure, our state-of-the-art steam boilers are ready to handle the job. We carry a full range of sizes & set ups to satisfy your steam boiler needs. Our boilers are equipped to assure that your hot water and steam needs are met precisely in the way that you need. Residential buildings, Commercial properties as well as Industrial can benefit from our portable units that safely house all wires and piping away from passers-by. A Heating temporary steam boilers can conveniently run on either fuel oil or natural gas, allowing you to choose the best economical option for your establishment.